As the name suggest the app has been developed to bridge the gap between police and common civilians of the Surat city in Gujarat (India). I feel great while reviewing this app as i’m also from Surat, so lets see what this application has in it for common people of surat. The app is available right now for the Android users and they can download it from GooglePlay store for free. If you living in Surat and got Android smartphone then you must have this app as we all see crimes around us in some form. How this app will create the bridge? This question came into my mind and I thought of giving it a try. When the app got installed then it asked me for my few personal details (general). None of the details were very confidential so I enter without thinking twice and the app loaded up. The below screen was the first screen or the home screen of the app where I found shortcuts to all tools in the app. 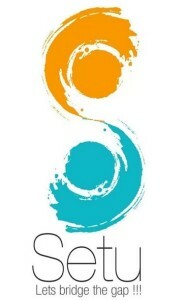 The UI was simple and it can be called as good not elegant because of color combinations and the very basic icon designs. ISpy – you can report to police department directly for any lost or found in the city. The very first feature I like about the app is that it comes with a simple gesture based tool to alert police department when you’re in any kind of panic. You need to simply slide right on the “Slide to Panic” tool and it will alert to the nearest Police department. It will also send alert message about your current panic situation to two of your close personal. Many times we saw a lot of incidents taking place but when police starts investigating then they lack the right proof. But now with this app you’re the agent of Police and whenever you see any incident taking place then you can record video or audio and send it to the Police department. A video footage is enough to take down any criminal. The ISpy tool is really helpful and it will help citizens to found their lost thing or person and also report whatever they lost instantly. Women safety is the major concern and the app got special section for them. This is again a wow factor in the app. When you tap on the Surat Police section then you’ll find contact details of all Police officials according to the area. This helps in contacting them in panic situations. 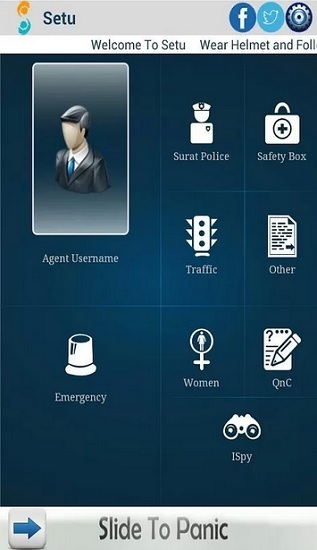 The app is an instant crime reporting tool for Surat people. The police department of Surat has provided great tool to their users and I hope every other city of not just India but world should provide such apps so that a bridge can be created between citizens and police officials. Why it its not available for nokia phones? Plz make a general version so that all can take advantage of this. Pls see to this also? Please start online portal also, so that those who are not using Android phone, they can make complaint through website.